In this good news-bad news scenario, I’ve already given you the bad news in Pad Thai Recipe – Part Two in which I opine that it’s not the way Pad Thai is seasoned that makes or breaks it; it is how well or how badly the noodles are cooked. And what makes this bad news is that getting the noodles right happens to be the hardest part about Pad Thai. There are too many variables and too many scenarios generated by the combinations of these variables. The key – and this will be addressed more fully in the final post in the series – is to use heat and moisture in such a way that you end up with well-seasoned noodles that are soft yet chewy and not clumpy, soggy, or tough. This sounds simple, but is not easy. But we’ll leave that for later. The level of difficulty in seasoning your Pad Thai well, in my opinion, is in reverse proportion to the level of difficulty in getting the noodles right. Any imperfections can even be fixed – to the extent where something unpleasant can be made acceptable – after the fact. If you’re going to worry a lot about something when it comes to Pad Thai, I hope it’s the noodles. The sauce is easy. “Balanced,” in my opinion, is not a prescriptive attribute. How can it be? For this Pad Thai sauce, I wouldn’t worry too much about getting the “balance” of flavors right in your sauce. Think of the flavor traditionally associated with Pad Thai; that’s your guideline. As long as you adhere somewhat closely to that, you will be okay. Besides, I have so much problem with the word “balance” that gets thrown around seemingly carelessly whenever the topic of Thai cuisine and what defines it is discussed. I find it to be meaningless. But I’ll save my rant for later. With this recipe, I’ve given you what I like – my personal interpretation of “balance” which, to me, simply means, “what tastes good to me.” And I wouldn’t want you to take it as anything but a starting point. You can do what some ultra-traditional Pad Thai vendors do, i.e. season the noodles as they fry them with the individual seasonings: palm sugar, fish sauce, and tamarind pulp. The advantage is that it’s easier to customize the flavor. The disadvantage is that it’s hard to do well. I recommend that you do what most vendors do nowadays which is to have the sauce mixed in advance. I measure the liquid ingredients by weight instead of volume, because I can’t think of a way to measure palm sugar accurately and consistently without a scale. And I figured since I’d already be weighing the palm sugar, I might as well weigh everything else too. The tamarind pulp I use is prepared exactly as I’ve described in the post on how to prepare tamarind pulp. You may have your own way of preparing tamarind pulp, and that is fine, but the flavor of the sauce will be different from what I intend. The idea is to use the least amount of water possible to get the tamarinds to soften up. My prepared tamarind pulp is, therefore, so thick that you can stand a teaspoon in it. After all, it’s the tamarind you need, not the water. This recipe gives you a very thick, concentrated sauce. I don’t see the point of making your Pad Thai sauce thin and watery then reducing it down to a thicker consistency, especially in light of the fact that it doesn’t take more effort to make a concentrated sauce right off the bat. If moisture is needed during the frying stage, I’d like to add it in the form of plain water instead of more sauce. This is because every time you add the sauce to the noodles, not only do you add moisture, but you also add more seasoning. In an attempt to adequately hydrate the noodles, you risk over-seasoning the dish which is harder to fix than if you under-season it. The sauce can (and should) be made in advance. It freezes well. You can also freeze the sauce in an ice cube tray, then pop out the frozen cubes and keep them in a freezer bag. Thaw out only what you need at a time. Put everything in a medium pot placed over medium heat. Stir constantly until the sugars have dissolved. This should take less than a minute. You don’t want to reduce or thicken the sauce; it’s already very concentrated and further reduction will result in a much lower yield than intended which leads to over-seasoned Pad Thai. To keep the sauce from being overly reduced, chop your palm sugar very finely and do not use high heat. Once the sugar is dissolved, remove the sauce from heat; allow to cool. Store in a glass jar and refrigerate or freeze. liam – This recipe is for 8-10 servings. I’ve been following the series, great great tips! and I’ll be sure to try your proportions of the sauce out! It definitely makes for less stressful pad thai! This resulted in me read your tamarind pulp instructions. I love squishing the pulp! Freezing into ice cubes is a great idea! I am curious on why brown sugar and palm sugar. Why not just palm? luvwtr – The sweetness of palm sugar varies from batch to batch, harvest to harvest, and brand to brand. It can be frustrating. If I wasn’t writing a recipe for public consumption, I would have said, “Add palm sugar to taste.” But I figured something a little more standardized, a little more consistent would be more helpful to those who have never made Pad Thai sauce. I’ve found the addition of brown sugar to help in achieving some consistency. Good observation. I was hoping I wouldn’t have to explain. Looks like I just did. Can you approximate the amount of ingredients in cups/spoons? I’m going to try my hand at this but don’t want to buy a scale. I tried making this today and I must have made some bad mistakes. First I had trouble with the palm sugar, it was very hard and it took a long while for it to dissolve, so long that I burned the sauce and it smelled quite foul. Then I tried microwaving the palm sugar, and it became carmelized and still took a while to dissolve. When I finally did finish the sauce tasted weird, I think there was too much tamarind sauce, I had to use the liquid stuff since that was all I had. Maybe I was just having trouble because of the weighing. I don’t know, any help would be appreciated! Belle – Yikes. Sorry. If you start out with burnt sauce, things can only get worse from there. The problem is not the weighing. It’s probably because the heat was too high and the palm sugar not chopped finely enough. When chopped finely, palm sugar should dissolve very quickly and easily over low to medium heat. The sauce is heated only just until the sugar dissolves; if it’s cooked any more than this, it becomes too concentrated and will result in over-seasoned Pad Thai. Use the same amount of palm sugar; just try chopping it more finely and using lower heat next time. What kind of tamarind pulp did you use? If it’s the watered-down Thai tamarind concentrate that comes in a plastic jar, at the same weight it can’t possibly be more sour than if you were to use tamarind pulp prepared the way I recommend (you can’t get commercial tamarind pulp that’s more concentrated that that). 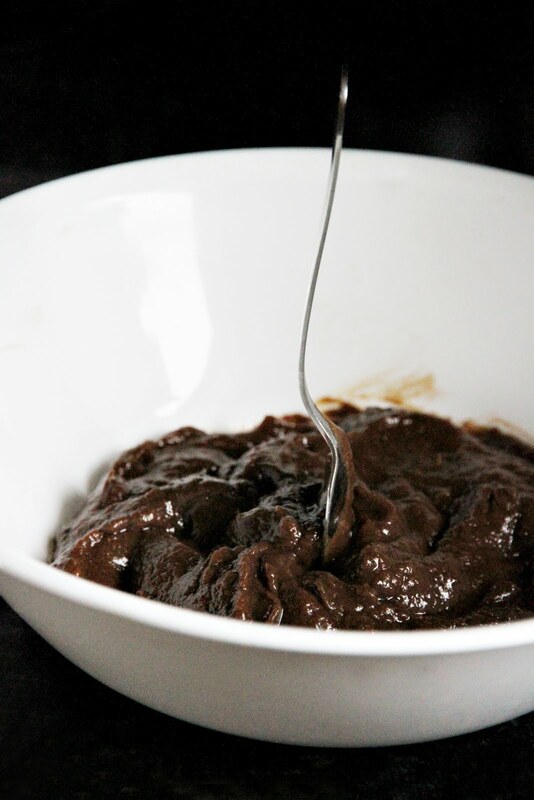 However, if you use South Asian tamarind sauce that looks like molasses, it wouldn’t give you good results with Thai recipes. Try again, will you please? And let me know how it goes. Thanks for the help Leela! I am going to try again tomorow. I have this tamarind concentrate that comes in a plastic cup and seems pretty watery http://www.cari-vicarious.com/2010/01/sourcing-ingredients-for-authentic-thai.html (scroll down a bit). Should I add more tamarind than specified in your recipe since this is thinner? Belle – Yeah, that brand is pretty thin. I’d keep the amount the same since, based on your previous comment, you seem to like your Pad Thai less sour than I do. 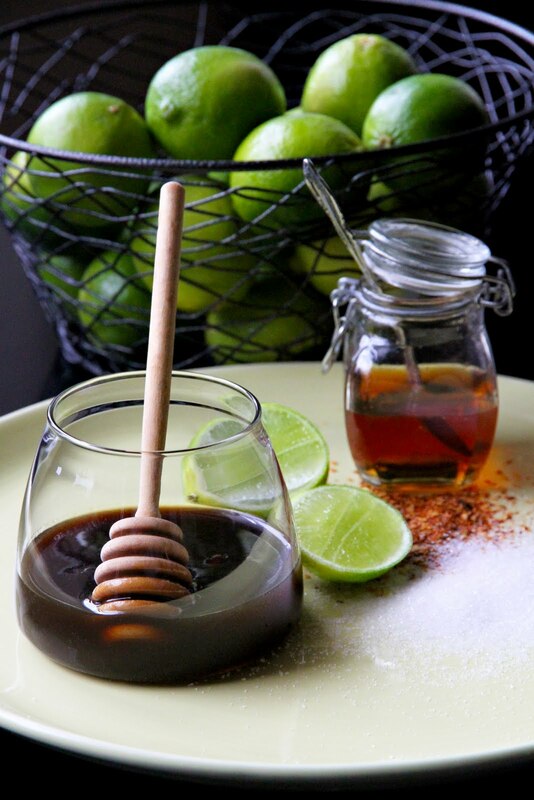 If it turns out not sour enough, you can always accent the finished dish with a squeeze of fresh lime. Any chance of getting ingredients in cups/spoons? Do not have a scale. drew – I could. It’s just that, as I said in the post, I haven’t had much luck measuring palm sugar consistently without a scale. Also, I’m traveling and won’t get around to this for several weeks. In the meantime, I would search for a site that converts measurements for you and use their numbers which will most definitely be off, but hopefully not by much and can be used as a starting point. Is there a conversion for the grams measurement in to US equivalents? Like teaspoons, tablespoon, cup etc… Looks good an will make it soon! Anon – I meant to do this a few weeks back, but never got around to it. And I’m currently away from my kitchen. So, it will be a while before I have a chance. My apologies. Having said that, I do encourage you to invest in a reliable kitchen scale, though. Some ingredients are almost impossible to measure consistently using a measuring cup or spoon, e.g. palm sugar. This is the very reason I went with weight, instead of volume, measurements. You might need to break up the really large bowl-shaped blocks of tamarind (maybe with a real hammer and a chisel) before having at with the meat tenderizer, I imagine. For those who absolutely cannot afford the $18 (when on sale) to $25 for an Escali Primo digital scale (there are others but none in this price range I would trust as much), I can give a few rules of thumb that might help. If you are fortunate enough to be able to purchase the Buddha Brand palm sugar that comes in small half-rounds (sort of like little bowlettes) pictured on the web page above, which come in a clear plastic poptop can, those weigh (roughly) 15g apiece, so you would need 15 for this recipe – and actually you should probably plan on smashing up 16 due to the inevitable loss due to sticky palm sugar bits sticking to the mat, the head of the meat tenderizer, and your fingers (where your only choice will be to eat them off. No, really. There is no other choice, just you wait and see). Also to help with the dissolving of the palm sugar – try soaking your wacked crumbs in the fish sauce for several hours, or overnight in the fridge. All the smaller crumbs will dissolve, and even the larger chunks will usually at least soften up. If you’re too impatient for that, you can run it through your wet grinder (the kind with a blade, NOT the kind that uses grinding plates) or blender. Lowest speed, short bursts – we don’t want tamarind frappe, with a lot of air whipped into it, just break up any big bits of palm sugar still lurking about. Remember that all stoves are different, and one stove’s “medium” may be more “low” on another. Tend to err on the side of caution, and use a low to mid-low heat (around a quarter turn on the dial) if you’re not sure. If burning is a real issue for you, try heating it up in a double boiler. Thanks to kitchenbarbarian for posting the weight-volume conversion of the sauce recipes. It was a godsend for me since I don’t have any scale at home. The sauce was very good. I loved it. I have tried numerous different sauce recipes. So far, this one is the best! Thanks to Leela and kitchenbarbarian. Oh my gosh, typos can be so confusing. I meant PALM SUGAR, not tamarind. There’s a type of palm sugar that comes formed into a sort of a bowl shape maybe 6″ or so across. You might need to break that up some before having at with the meat tenderizer. Here’s the biggee… The Hubster has proclaimed that he can tolerate Pad Thai, but not exactly something he enjoys… Well…we solved THAT!! As we know, the sauce is the key to the dish, and all the add-ins are decorations on the Christmas tree!! THIS version of Pad Thai is officially welcome at our table. Thanks so very much for all your great recipes!! I love different cuisines, and your renditions of Thai recipes make authenticity easy to achieve!! I appreciate that more than you can know! CBWA – Wow. My week, no month is made. Thanks for reporting back. HELP !!! I made your Pad Thai sauce and it is the BOMB! And I’m Thai. I came back to make it again for my son’s birthday, but your website changed it’s look, and the sauce recipe does not have tamarind in it. I am sure it is an over sight because it did recently. What is the correct recipe? Wanted to make it for my son today, it’s his birthday and he said this was the best Pad Thai I’ve ever made. Thank you. Love your site. It’s the best. Thank you so much for alerting my attention to this, because I would not have realized this huge error otherwise! It’s all fixed now. And hope your son has a very happy birthday! Thank you so much! You made one hungry 15 year old boy extremely happy. Quick question, for the tamarind pulp is the 150 g measurement prepared (i.e. with water) or is the 150 g just for the tamarind itself before adding water? I assume it’s prepared but I just wanted to check. So excited to make pad thai this weekend using your recipe. Mike, that would be 150g of tamamrind which has already been prepared. Do you have a good suggestion for vegetarians that don’t cook with fish sauce? I’ve read articles on substitutions in the past, but I’ve never tried to make the substitution with Pad Thai. I would love your take on it. You’re pretty much down to two choices: salt or soy sauce. My personal preference is that salt is almost always a better choice when it comes to preserving what’s generally referred to as the Thai flavor profile. In dishes where fish sauce is used together with fresh lime juice or tamarind (pad thai, som tam, tom kha, tom yam, most salads, kaeng som, etc. ), I personally will never use soy sauce (salt is better). But when it comes to meat marinades or Chinese-influenced dishes, including stir-fries, soy sauce works great. Thanks for the tip! My husband has pretty much banned Fish Sauce from our house because of it’s nasty smell. We had a bottle leak all over the place during our last move & it was so gross! We love Thai food, but I don’t know if I could convince him to buy another bottle, haha. I was confused because there are two types. Thanks again! My local supply of palm sugar comes in these puck like disks. They are about as hard as a hockey puck too. In order to get this to disolve quickly I pulverize these in my vitamix (thanks for turning me on to that blender; it’s fantastic!). I tried the mortar and pestle first but it was quite a workout! I really appreciate the descriptions you give of creating the authentic recipes and your attention to the details! This recipe brings me tears of joy. Tastes better than a restaurant, and I was able to make it vegan. 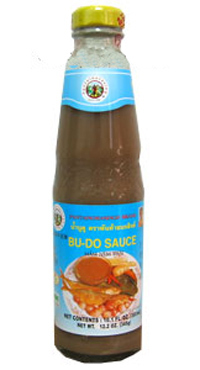 Can you please suggest any alternative ingredients for fish sauce and shrimp paste for vegetarian people? jayashree – For pad thai, you can use soy sauce instead of fish sauce.